Well it’s been a grey and drizzly day. But at least the temperature has been mild. Jan peeled the apples we were kindly given by Phil & Anne as we were leaving Swanley and I can feel an apple slice cake in the air. Now there is the soothing background noise of click knitting needles so I assume the winter knee blanket is increasing in size. Meanwhile, I have emptied the waypoint memory on the Garmin Oregon 550 gps. I’d inadvertently filled all the available memory with canal data leaving no room for me to insert local walking trails. Google Earth shows a potential route from the wharf to the nearest village which I’ve converted to Garmin format and transferred onto the Oregon. Someone has suggested she might like her magazines tomorrow, so an exploratory walk is probably on the cards. I don’t want to get lost geographically embarrass myself by failing to take the gps. 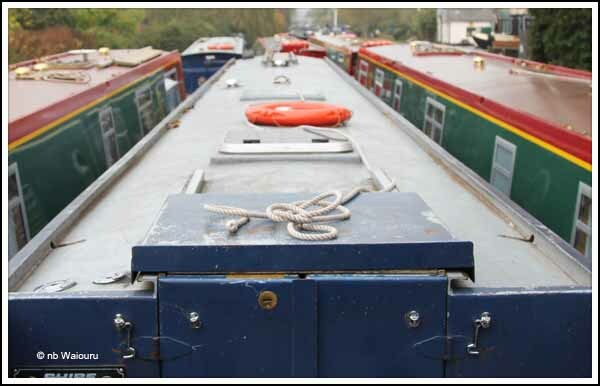 Aldermaston Wharf is now full of moored hire boats laying over during winter. 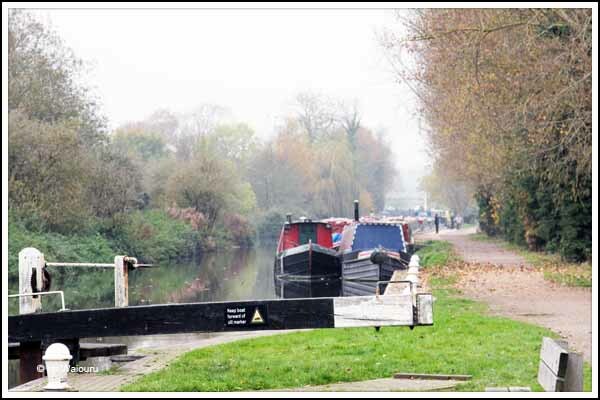 This is a photo taken from Padworth Lock locking back towards the wharf. 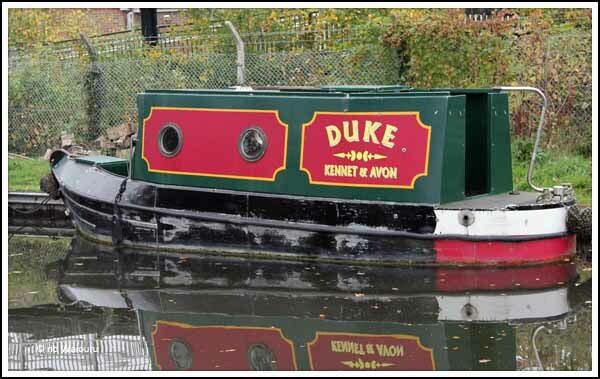 Ufton is in between two unoccupied hire boats. I like the locking mechanism on the rear doors and hatch. The tongue of the lock extends up into the hatch. It looks more aesthetic than the common staple and padlock system. 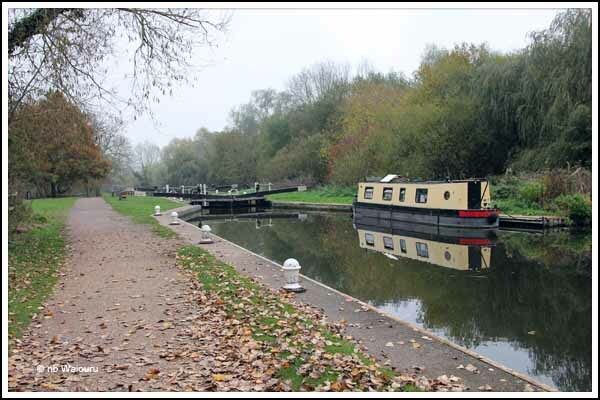 Meanwhile, an occupied private boat appears to have settled for the winter immediately in front of Padworth Lock on the non towpath side of the canal. Smoke was lazily drifting from the solid fuel stove chimney this morning. I swept all the leaves off Ufton yesterday but of course she was covered in leaves this morning! On the far side of the wharf I identified “favourite mother-in-law’s” bedroom and en-suite. Any disagreements; and I can get out a sharp knife during the night.